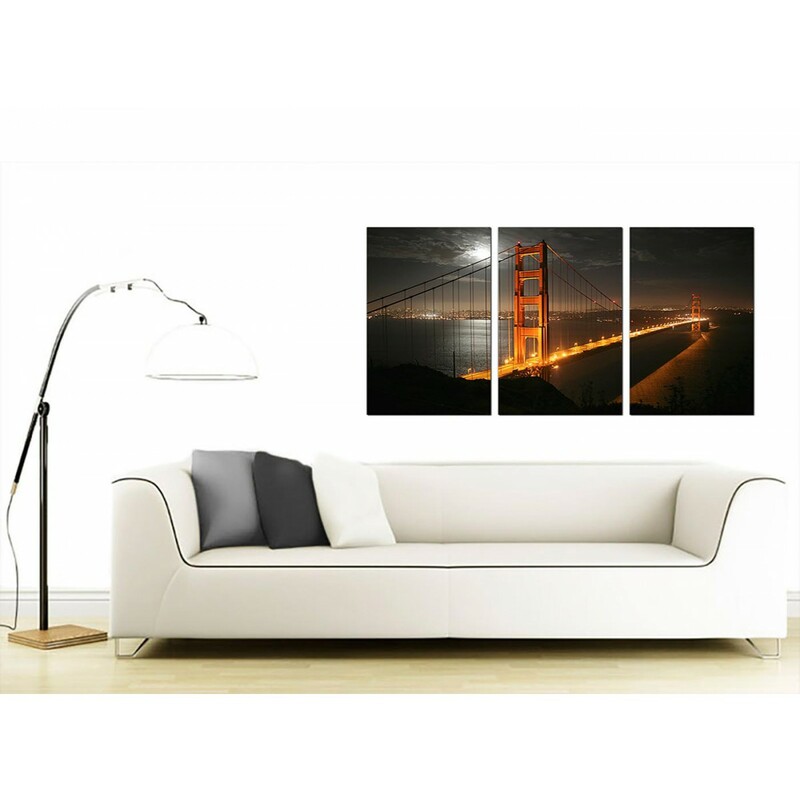 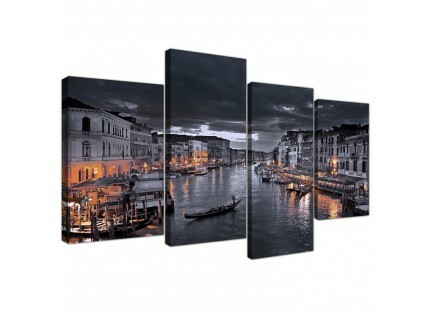 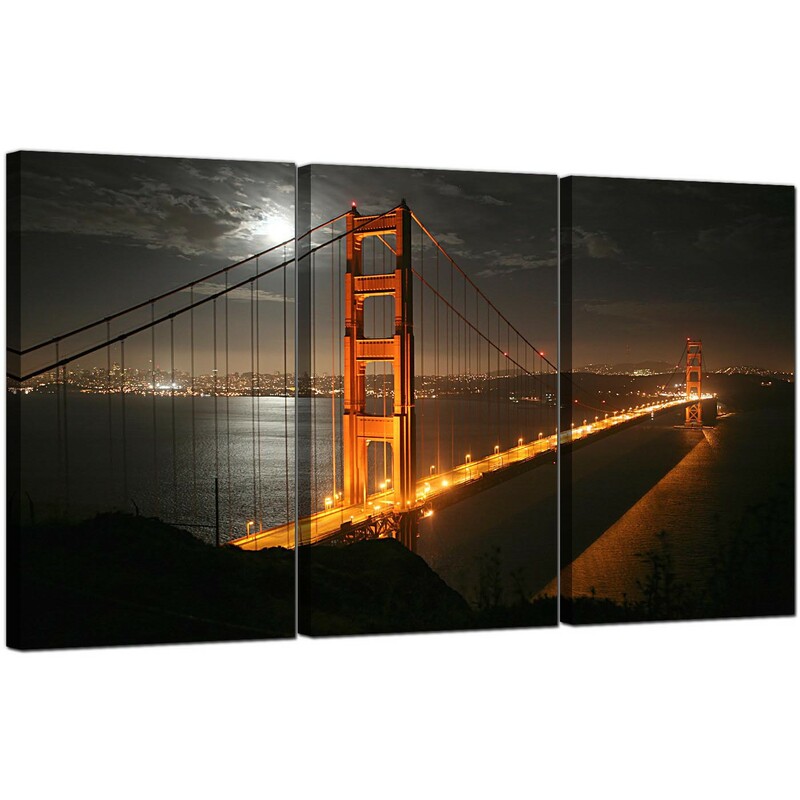 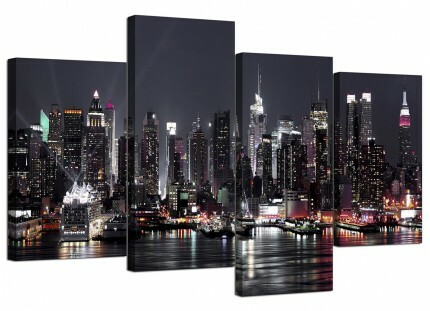 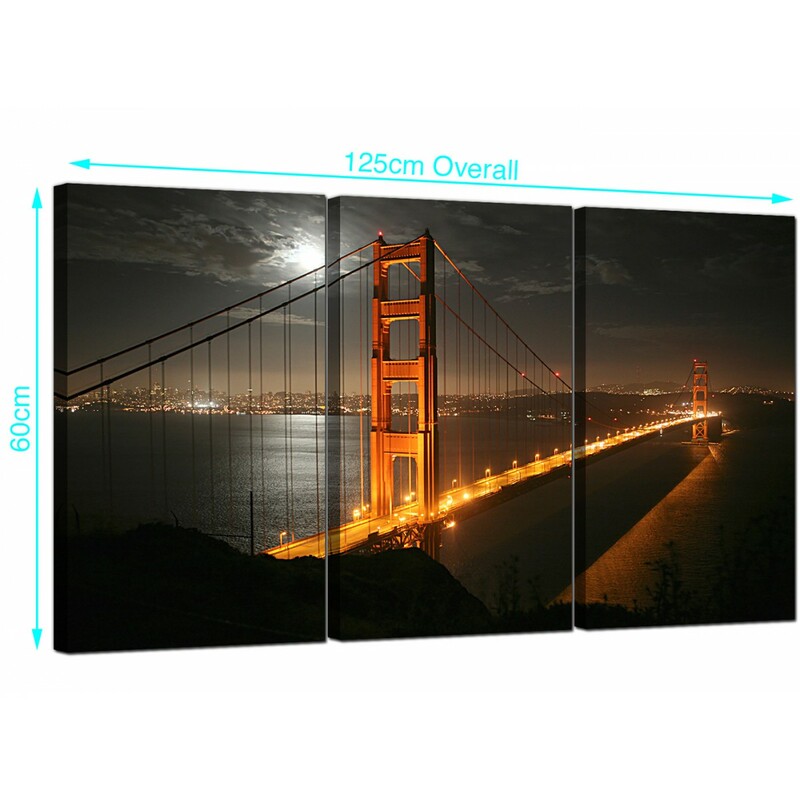 Split panel canvas pictures of night time Golden Gate Bridge. 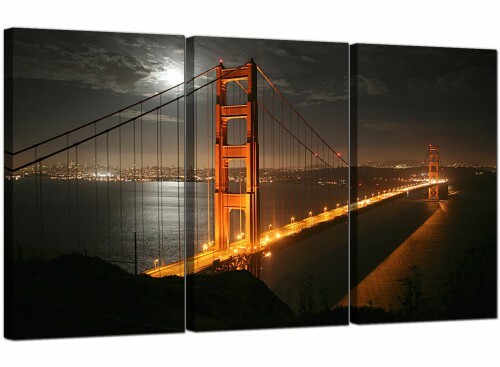 One of the great landmarks of the USA. 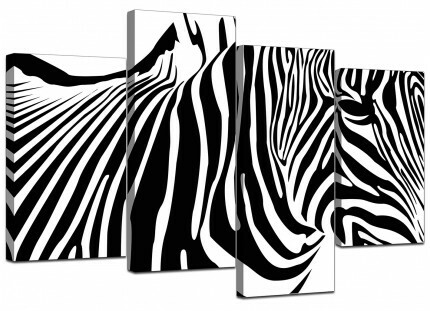 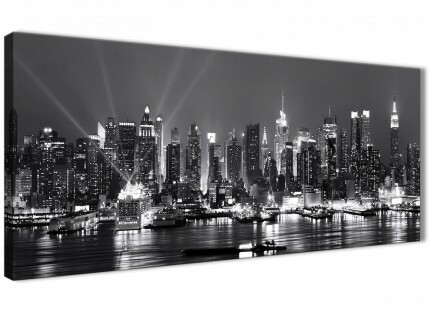 A large black white beautiful triptych wall art prints. 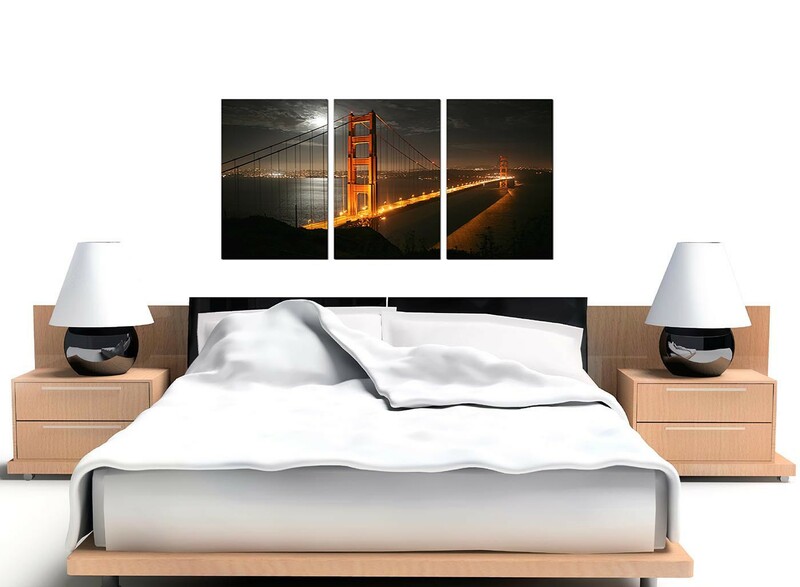 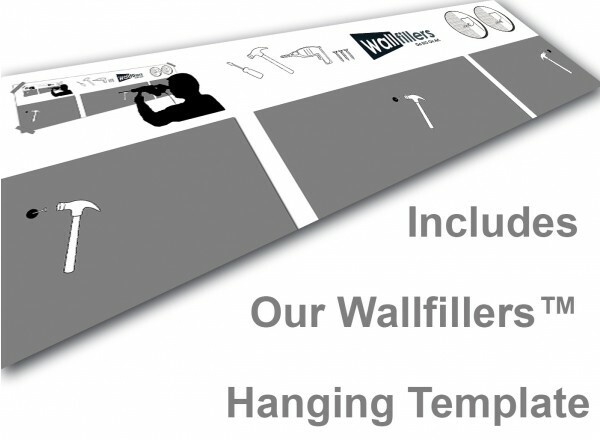 The United Kindom's best loved wall decor brand. 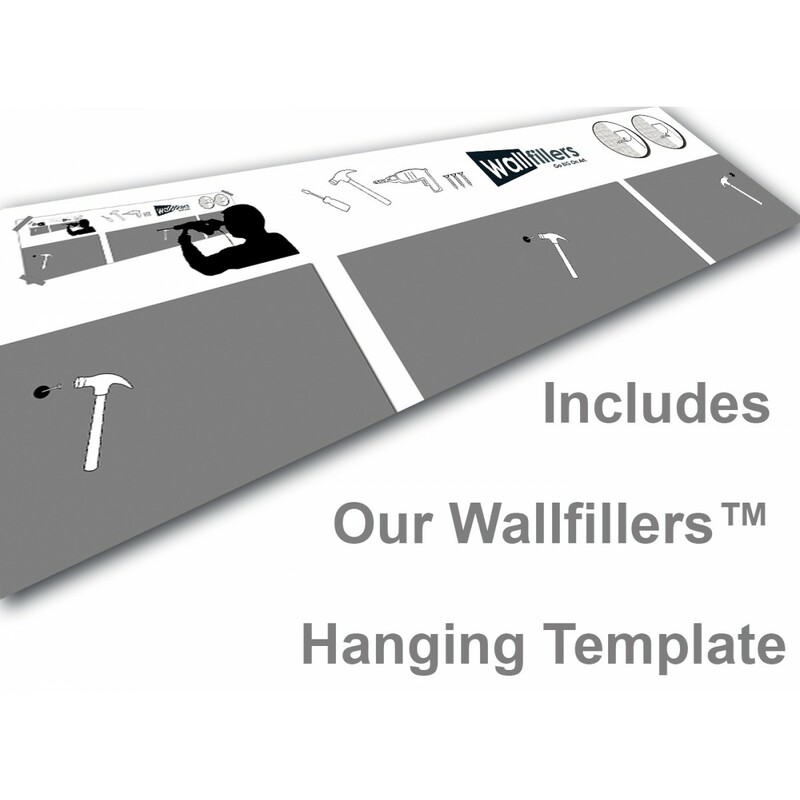 Canvas sets are printed in top quality with with fade proof inks. 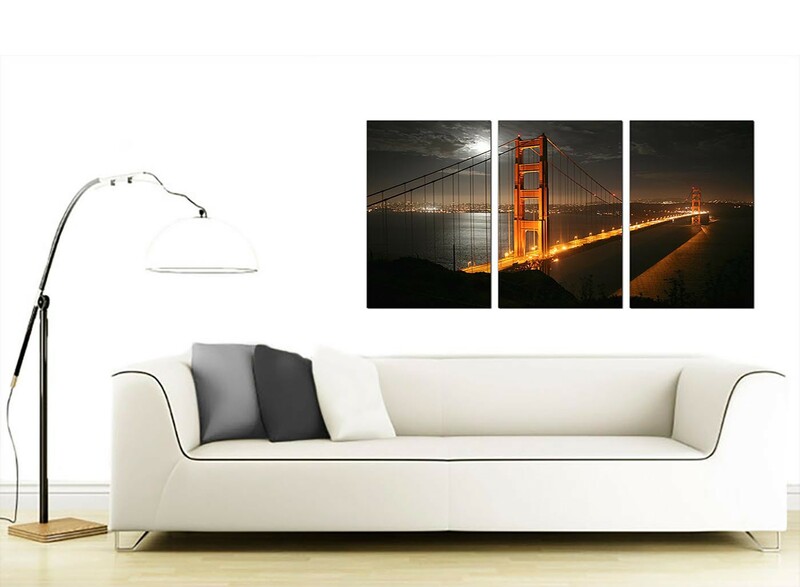 Perfect width for above your sofa. 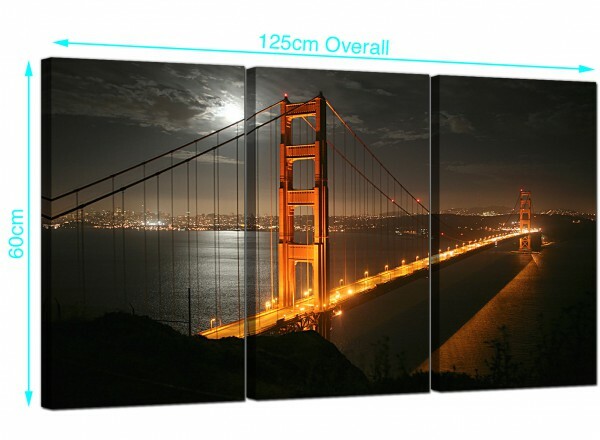 Size: 49inch x 24inch inclusive of gaps. 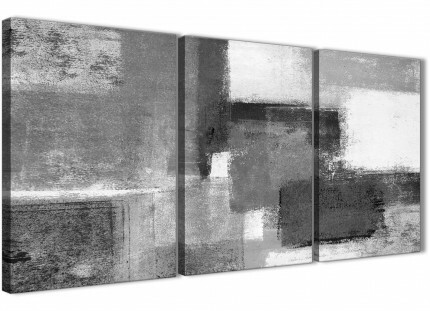 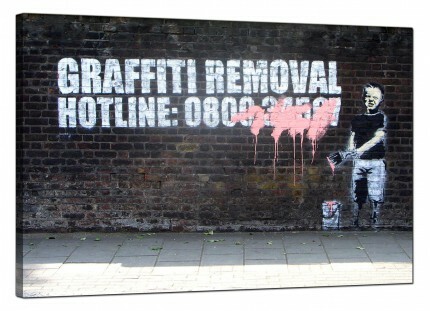 Each of the three canvases are 40cm by 60cm. 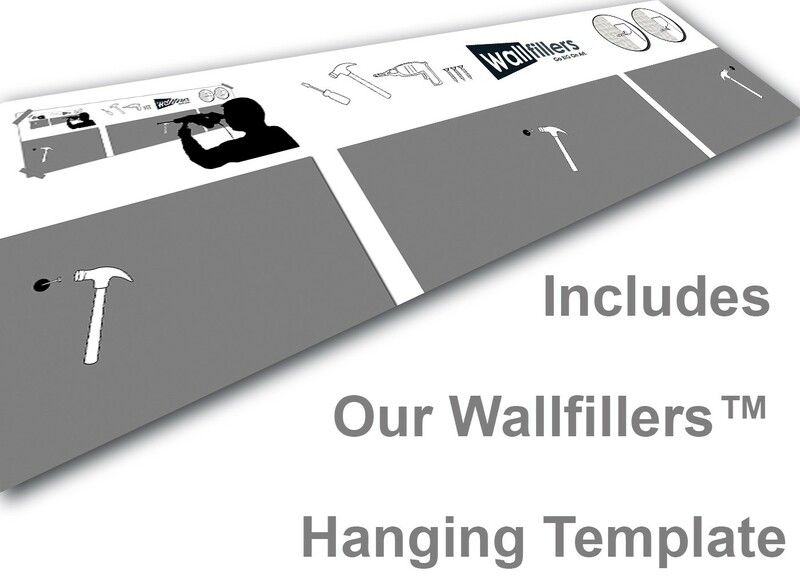 We recommend a space of 2.5cm between each section.